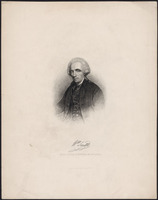 MURRAY, JAMES, army officer and colonial administrator; b. 21 Jan. 1721/22 at Ballencrieff (Lothian), the family seat in Scotland, fifth son and 14th child of Alexander Murray, 4th Baron Elibank, and Elizabeth Stirling; m. 17 Dec. 1748 Cordelia Collier, d. 26 June 1779; m. secondly on 14 March 1780 on Minorca, Anne Witham (Whitham), d. 2 Aug. 1784, and they had six children, four of whom reached maturity; d. 18 June 1794 at Beauport House, near Battle, Sussex, England. On 6 Dec. 1736, fresh from the schooling of William Dyce in Selkirk, James Murray enrolled as a cadet in Colyear’s regiment, part of the Scots brigade of the Dutch army, then stationed at Ypres (Belgium). 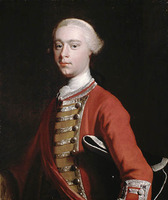 In February 1739/40 he joined the British army as a second lieutenant with the 4th Marines (Wynyard’s) but in November 1741 transferred as a captain to the 15th Foot, with which he remained till 1759. In January 1749/50 he purchased the majority, and a year later the lieutenant-colonelcy, of his regiment. 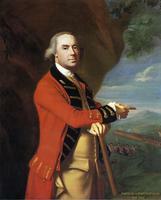 From October 1759 he was colonel commandant of the 2nd battalion of the Royal Americans (60th Foot), and in July 1762 he was promoted major-general. Appointed governor of the garrison of Quebec on 12 Oct. 1759, he became governor of the District of Quebec on 27 Oct. 1760 and governor of the province on 21 Nov. 1763. During these years as a professional soldier, Murray saw a fair amount of active service. 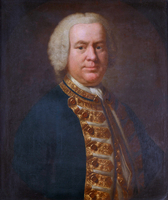 From November 1740 to December 1742 he was in the West Indies, where he took part in the attack on Cartagena (Colombia) and the Cuban operations; from July to October 1745 he fought in Flanders, being seriously wounded in the defence of Ostend (Belgium), and in September 1746 he participated in the Lorient expedition. During the Seven Years’ War he was with the 15th for the attempt on Rochefort, France, in September 1757, and from 1758 to 1760 he was in North America. 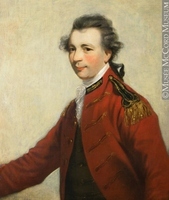 He served under James Wolfe* at the siege of Louisbourg, Île Royale (Cape Breton Island), in 1758, and the following year at the siege of Quebec, where he commanded the left wing of the battle line on the Plains of Abraham. Left in charge of Quebec during the winter of 1759–60, he was forced to retreat inside the walls after the battle of Sainte-Foy on 28 April 1760; however, he managed to hold the city until the arrival of a British squadron in May [see Robert Swanton*]. The next month he set off up the St Lawrence to rendezvous with William Haviland and Jeffery Amherst and force the capitulation of Montreal in September. 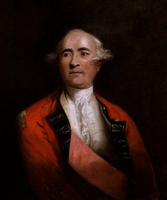 As a military commander Murray has been criticized as “hot-headed and impetuous, inclined to underrate the offensive power of his opponents”; he has also been acclaimed as “a man of the most ardent and intrepid courage, passionately desirous of glory.” Wolfe held him in high regard, commending his “infinite spirit” and “great services” during the Louisbourg campaign, and personally selecting him as the junior brigadier at the siege of Quebec. For Murray, however, the latter was not an unqualified success. Although he joined Robert Monckton and George Townshend*, the other brigadiers, in urging the establishment of a force above the city, he did not, as he later claimed, recommend “the very place” where Wolfe landed; and if he maintained that a “superior authority” checked his pursuit of the French right flank, no evidence has been found to support this disclaimer of a costly tactical error. In any event, Murray was dissatisfied with both the reporting of his conduct and the amount of credit he was given for the victory. Still more controversy surrounds his defence of Quebec. Lacking sufficient funds, adequate supplies of fuel, and fresh provisions, and with a garrison of some 6,000 able-bodied men, whom illness reduced to fewer than 4,000 during the winter, when confronted in late April by a force almost twice his strength, he decided, characteristically, to attack. The resulting battle has generally been considered a British defeat, though again Murray defended not only his conduct but his decision to fight. At any rate, from a strategic viewpoint, judgements range from the opinion that his losses might have incited Lévis to assault the city if the British fleet had not arrived in time, through the conviction that Lévis would not have chanced an assault unless the French fleet had arrived first, to the view that Lévis suffered a mauling that left him incapable of preventing Murray’s advance to Montreal and that the battle of Sainte-Foy thus played a crucial part in the conquest. Following the capitulation of Montreal on 8 Sept. 1760, Canada was subjected to a military régime. The colony was divided into three independently administered districts – Quebec, Trois-Rivières, and Montreal – which were placed under Murray, Ralph Burton*, and Thomas Gage respectively, each of them being in turn responsible to Amherst, the commander-in-chief, in New York. On the establishment of civil government, proclaimed in Britain on 7 Nov. 1763 and inaugurated in Canada on 10 Aug. 1764, the districts were united into the province of Quebec. Provision was made for Murray, as governor, to be assisted by two lieutenant governors, but these positions were discontinued after both Gage and Burton declined to fill them. However, Murray did not enjoy unbridled authority. 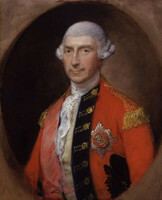 On his proclamation as governor the civil and military commands were separated, and later in 1764 command of all the troops in the province was given to Burton who, as brigadier of the Northern Department, was responsible only to the commander-in-chief, by now Gage. Whether it was caused by Burton’s jealousy of Murray’s nomination as governor, or by Murray’s resentment of Burton’s independence as brigadier, or simply by the practical inseparability of the two offices, friction soon developed between these former friends and contributed to the recall of both in 1766. 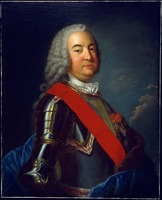 Murray was surely right to maintain that in Quebec, which was not only a conquered colony but one where the governor had always been the military chief, authority could not be shared; and the home authorities admitted as much when they granted both commands to Murray’s successor, Guy Carleton*, in 1766. Another hindrance was the lack of qualified and dependable advisers. Fortunate in his civil secretary, Hector Theophilus Cramahé, whom he appointed to the Council in 1764 and then sent as his representative to London, Murray had to rely principally on serving officers – notably Paulus Æmilius Irving and Samuel Jan Holland*, both of whom became councillors – and on former military men, such as Adam Mabane (likewise a councillor), John Fraser, and John Nairne*. He also came to trust a few merchants, particularly Thomas Ainslie*, Hugh Finlay*, Thomas Dunn*, James Goldfrap, and Benjamin Price*, the last three being Council members as well. 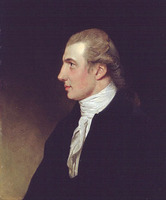 However, the patronage system, under which many colonial offices were dispensed in England, saddled him with a number of difficult officials, headed by Chief Justice William Gregory and Attorney General George Suckling. Although he apparently changed his mind about the latter, Murray at first considered them both “needy lawyers,” not only “entirely ignorant of the Language of the Natives” and “ignorant of the World” but “readier to puzzle and Create Difficultys than to remove them.” Nor were they the exceptions: Murray had to contend with Coroner Williams Conyngham, whom he described as “the most thorough paced Villain who ever existed”; an assortment of British patentees, some of whom could not “read a word of French”; and so many inept justices of the peace that the office fell into disrepute and had to be rehabilitated by Carleton. In addition, he faced several unruly officers, such as Gabriel Christie, deputy quartermaster general for the Northern Department, and Arthur Brown, who commanded the 28th Foot, as well as a pack of disgruntled traders led by George Allsopp*, William Grant*, Edward Harrison, Eleazar Levy, James Johnston, and the brothers Alexander and William Mackenzie. As if that were not enough, the Southern Department, Board of Trade, War Office, and Treasury all meddled in colonial affairs, sometimes acting without consultation among themselves, sometimes avoiding issues altogether for want of clear-cut responsibility. Moreover, Murray enjoyed the confidence of only two of the four ministries that held office while he was in Quebec: those of the Duke of Newcastle and the Earl of Bute, which together lasted from June 1757 to April 1763. 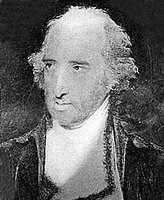 This support was lost with the advent of the Whigs, after which Murray seems to have encountered some discrimination because of his association with the “King’s Friends.” Under the ministries of George Grenville and Lord Rockingham, he had to account to such politicians as Lord Halifax, Lord Shelburne, and Lord Dartmouth, who were at best unsympathetic; and if he was faithfully backed by the Duke of Argyll, Lord Egremont, Lord Mansfield, Lord North, Lord George Sackville, Charles Jenkinson, William Pitt, and Charles Townshend, a list of his detractors, who included the Duke of Bedford, Lord Camden, Lord Northington, Isaac Barré, Welbore Ellis, Horace Walpole, and John Wilkes, indicates the odds against him. It was obvious, however, that the new subjects could not be controlled, much less conciliated, if either their accustomed usages or their former officials were disregarded. 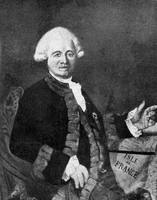 Consequently, although the articles of capitulation had not guaranteed the preservation of French laws, customs, or institutions, Murray modelled the council for his district on the old Conseil Supérieur, permitted the use of French law in cases not referred to this council, gave the captains of militia new commissions, and appointed several Canadians (such as Jacques de Lafontaine* de Belcour, whom he named attorney general and commissary for the south shore) to administrative posts. But it must be admitted that these measures were neither unique nor entirely successful: Murray’s arrangements were in accordance with Amherst’s directives to all the governors, similar expedients were employed in Trois-Rivières and Montreal, and complaints of unjust imprisonments and ruined family affairs – often attributed to ignorance of French usages and the French language did occur in the District of Quebec. The church was another concern during the military régime. The articles of capitulation signed at Quebec guaranteed “the free exercise of the Roman religion,” while specific safeguards, added at Montreal, covered the chapter, priests, curates, missionaries, and communities of nuns – though not the Jesuits, Recollets, or Sulpicians. Murray’s wartime experience had not predisposed him towards the clergy: identifying them as “the source of all the mischiefs which have befallen the poor Canadians,” he doubted whether much reliance could be placed on oaths when “the Conscience can be so easily quieted by the Absolution of a Priest.” He accordingly intervened in the appointment of parish priests, whom he was determined to keep “in a state of necessary subjection,” cautioned the home authorities against expatriate clerics such as Joseph-Marie La Corne de Chaptes, and revealed a deep distrust of the religious orders, particularly the Jesuits. Gradually, however, his attitude changed. Beginning with a promise to protect all parish priests who did not prove troublesome, Murray came to rely on them to maintain order in the parishes. 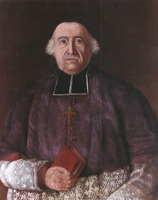 In return he doled out aid: to the “charitable Priest” Jean-Baptiste-Laurent Morisseaux, who was awarded the benefit of Saint-Augustin in Labrador; to the parish priests of Saint-Laurent, Île d’Orléans, and Sainte-Foy, who received restoration grants; and to Jean-Olivier Briand, vicar general of Quebec, who was presented with a gratuity of £480 for “his good behaviour.” Similarly, Murray’s gratitude to the nuns for their impartial nursing during the hostilities induced him to supply their communities with fuel and provisions, remunerate them for their services, support the claim of the Hôpital-Général to “a large sum” due from the king of France, and obtain the remission of debts owed to the French government by the Hôtel-Dieu and the Ursuline convent in Quebec [see Marie-Louise Curot; Marie-Anne Migeon de Branssat]. Even the Jesuits became entitled to some consideration: rejecting a request to lay an attachment on their effects, Murray went so far as to recommend their being paid pensions if dismissed. He also helped to resolve the problem of the episcopal succession. 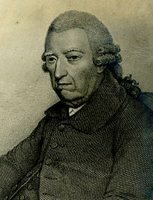 The death of Bishop Pontbriand [Dubreil*] in June 1760 raised the question of how priests could be ordained without infringing British laws – which, as Lord Egremont, secretary of state for the Southern Department, enjoined, “prohibit absolutely all Popish Hierarchy in any of the Dominions belonging to the Crown.” Although opposed to the presence of a bishop in Quebec, Murray would accept a “Superintendent of the Romish Religion,” to be elected by the Quebec chapter and, following approval by the British government, consecrated by the pope. 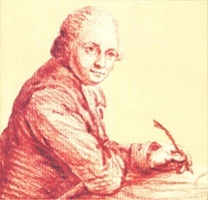 He balked, however, at the chapter’s initial choice of Étienne Montgolfier, vicar general of Montreal and superior of the Sulpicians, and it was largely through his influence that in 1764 Briand was elected instead. With the consecration of the latter in March 1766, the continuance of the priesthood, and so of the church in Quebec, was secured. As he acknowledged as early as July 1763, Murray’s change of attitude was fostered by Briand’s ability to act “with a Candour, Moderation, and a Delicacy in such circumstances, as deserve the highest Commendation, such indeed as I little expected from one of his Gown.” Well briefed on the need to conciliate the British authorities and acutely aware of the governor’s prejudices, Briand took care to obtain his approval of ecclesiastical appointments, to issue the numerous mandements and circular letters he requested, and, in general, to accept the same kind of governmental intervention that had occurred during the last century of French rule. A working concordat was the result: in exchange for toleration, some support, and – of special significance for the shaping of Canadian society – permission to continue its educational role, the church counselled not merely submission but cooperation. This collaboration was rewarded in the Quebec Act of 1774, which recognized the claims of the clergy to their accustomed dues, and then in the Constitutional Act of 1791, which effectively established Roman Catholicism in Lower Canada. The last major concern during the military régime was the economy. With both the means of production and the importing agencies disrupted to such an extent that sufficient supplies could not be obtained, Murray was moved to issue the population with military stores. More fundamentally, an imbalance between supply and demand during the last years of French rule had resulted in a chronic shortage of cash, and so induced the authorities to issue more than a million livres of paper money. The French government’s decision in 1760 to suspend payment on this paper threatened not only to wipe out the savings and capital of many Canadians but to deprive Quebec of its principal means of exchange. And meanwhile, speculators were hoarding goods in order to force up prices. The immediate economic problems confronting Murray were thus how to solve the currency crisis and how to check an already rife inflation. The first problem entailed two questions: what to do about the French paper money and how to obtain more specie. Finding that he could neither enforce the exclusive use of cash nor persuade the home government to substitute a British equivalent, Murray had to be content with registering the paper in circulation. He also tried to curb speculation on it by advising against its sale, at least until the rumours concerning its possible redemption were confirmed. But although he claimed that the result was a rise in market value – which benefited the Canadians at the cost of alienating the British merchants in Quebec – speculation continued well into the period of civil government. Moreover, when the French authorities decided in 1764 to discharge the debt with bonds rather than cash, and then repudiated it altogether in 1771, those who had taken Murray’s advice were caught out. It has been argued that their losses, which contributed to a series of bankruptcies between 1764 and 1771, placed the Canadians at a disadvantage in the contest for commercial dominance. To obtain specie, each of the governors resorted to the conventional palliative of overvaluing foreign currencies. 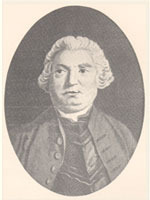 Murray considered the Halifax standard of five shillings to the Spanish dollar the most suitable rate of exchange for Quebec; Gage and Burton, however, preferred the eight shilling rate applied in New York, with which their districts had close trading connections. Speculation naturally followed this difference, and once in charge of the whole province Murray decided to compromise on the New England standard of six shillings, which was convenient for the Canadians since it made the English shilling equivalent to the French livre. 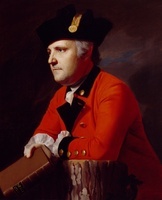 In practice, though, all three rates figured in business accounts till 1777, when Carleton reverted to Murray’s original choice of the Halifax standard. But the great hope was to increase exports, and although Pontiac*’s uprising hampered the restoration of the fur trade, the resources of the St Lawrence basin seemed propitious. Reporting in 1760 on its quantities of fish, seals, whales, hemp, flax, tar, pitch, and potash, and noting that the region contained “Iron enough to supply all Europe,” Murray predicted that within a few years Canada would be exporting foodstuffs. In particular, he set out to popularize the potato, which was soon produced commercially on the Île d’Orléans, and encouraged the sowing of wheat, for which he expected to find a market in Britain. Most of his calculations were based only on potential development, however, and lack of capital, high freight rates, shortage of labour, and deficient techniques combined to delay economic expansion till the 1770s. Murray never saw the balance of trade that would have been the cure for Quebec’s currency problem. In contrast, the problem of inflation was handled rather successfully. Realizing that a principal cause was the hoarding practices and monopolistic arrangements derived from Joseph-Michel Cadet’s Grande Société, Murray imposed a system of price controls reinforced with sales regulations: the justices of the peace were ordered to fix prices according to supply, bakers and butchers had to obtain permission to sell their products, and importers were supervised. It is difficult to assess the effect of such measures on the middlemen, who were the chief culprits in hoarding, but deflation must have been at least expedited. In any event, prices did fall after 1760-by as much as 50 to 80 per cent during the next six years – and Murray may well be entitled to a share of the credit for this achievement. He also continued some of the measures employed by the French to raise revenue. These included fines on the alienation of fiefs; a tax on houses in the town of Quebec (for which he substituted, as more equitable, a tax on horses in the parishes); proceeds from the lease of the fur-trading stations known as the “king’s posts”; and customs duties, which were by far the most lucrative, and contentious, source of income. Concluding that many of the French tariffs had been unfair and that the one on textiles would be unacceptable in a British colony, in 1761 Murray consolidated them all into a single duty on liquor, of which “The quantity the Canadians Consume is incredible.” Although this duty netted £8,725.8s. 1d. in a little over four years, objections from the British merchants in Quebec eventually forced its discontinuance, after which Murray had to manage with bills drawn on London. However, the home authorities not only tacitly admitted the legality of his imposition but approved Murray’s general aim of making Quebec contribute to its administrative costs when they later reproached him for not having resumed some of the other French duties as well. On 10 Feb. 1763, by the treaty of Paris, France formally ceded Canada to Great Britain. To judge by the subsequent proclamation of 7 October, the original intention was to anglicize the new colony: British settlement was to be promoted through the offering of lands on a quitrent basis, while British usages were to be imposed by implementing English criminal and civil law and making provision for a house of assembly. Both Murray’s commission as governor and the accompanying instructions reflected this policy: “So soon as the Situation and circumstances” admitted, he was to summon an assembly, elected by “the Major Part of the Freeholders.” He was also to appoint a council, consisting of four ex officio members and eight persons chosen by him “from amongst the most considerable of the Inhabitants of, or Persons of Property in Our said Province”. Pending the making of laws “by & with the advice and Consent” of the assembly and council, rules and regulations were to be issued “by the Advice” of this council. And courts of justice were to be established with the council’s consent and advice, although the judges and law officers were to be appointed by the governor alone. There was some doubt, however, concerning the ecclesiastical implications. The fourth article of the treaty of Paris granted Roman Catholics in Quebec religious liberty “as far as the laws of Great Britain permit.” But those laws included the Corporation Act of 1661 and the Test Acts of 1673 and 1678, by which Catholics were barred from all offices under the crown, disabled in the courts, deprived of the vote, and banned from both houses of parliament. Did this mean that Canadians would be prohibited from occupying civil offices, taking part in the administration of justice, and either electing to or sitting in the proposed assembly? If so, the government of Quebec would be not only a religious but a racial oligarchy, with a legislature in which the representatives of a handful of British Protestants – estimated by Murray in October 1764 as no more than 200 householders in the entire province – would make laws for some 70,000 Canadian Roman Catholics. Although they might have helped to conciliate the Canadians, these concessions had the opposite effect on many of the British. As each bulwark of privilege was breached, their disquiet increased, and when it became apparent that Murray had no intention of summoning an assembly, their specific and sporadic complaints gave way to a personal and unremitting campaign against the governor. Acquiring a permanent agent, Fowler Walker, in London and enlisting the support of business associates there, the British merchants in Quebec embarked on a heady series of presentments, remonstrances, and petitions. Oddly enough, in view of what was happening in the American colonies, the home authorities do not appear to have been alarmed by either Murray’s refusal to summon an assembly or the pretensions of the grand jury of 1764 – who, “as the only body Representative of the Colony,” claimed the right to be consulted before any ordinances became law and to have public accounts laid before them at least once a year. Murray was questioned about his recalcitrance after his return to England in 1766; but by allowing Carleton to continue a conciliar form of administration, the British government implicitly sanctioned what was perhaps the most significant departure from both the proclamation of 1763 and Murray’s commission. As the British merchants complained, however, much of this activity seemed only dutiful, if not perfunctory. Evidently believing that it was even more important to reassure the Canadians, who were “uneasy on account of Apprehensions for the Future existance of their Religion,” Murray continued to co-operate with their clergy, particularly Joseph-François Perrault, vicar general of Trois-Rivières, and Étienne Marchand, who replaced Montgolfier as vicar general of Montreal in late 1764. Similarly, his promotion of British settlement could scarcely be described as whole-hearted. Questioning the validity of grants acquired by British settlers during the military régime, he was reluctant to make new ones, and by the end of 1764 had limited these to the pair awarded Nairne and Fraser. Moreover, he allowed seigneurial grants to be surveyed privately, with the result, according to the deputy surveyor of Quebec, John Collins, that many of those buildings were “Extended to a very considerable distance beyond the Real Boundarys,” and the amount of land available for British settlement was proportionately reduced. If he was criticized for not following the political and social guidelines of the proclamation of 1763 closely enough, Murray was castigated for enforcing its economic injunctions too strictly. A boundary line that isolated the western hinterland, including the Great Lakes and Ohio valley, gave the Indians their promised reserve but left the fur-traders from Quebec in an impossible position. Now required to obtain licences and furnish recognizances before entering the territory and then to conduct their business from within the military posts, they had to compete with traders from the Mississippi who were able to enter and move about freely. Murray could appreciate their difficulties and did recommend against the restrictions, which were finally removed in 1768. He was nonetheless subjected to numerous aspersions, which direct attention to the discord that generally characterized his relations with the merchants. The fact is that Murray found it difficult to get along with people in trade, who in turn considered him incapable of understanding, let alone furthering, their interests. 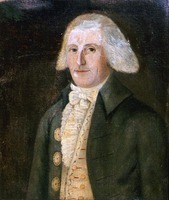 Duties, shipping, fisheries, posts, and wharfs were recurring subjects of dispute, and it was not enough for him to reply that he had helped on several occasions:, as when he proposed an embargo on French commodities, or promoted British participation in the seal fishery, or backed some of the Canadian claims to seal-oil posts. What the merchants felt he lacked was a business sense; and what they coveted was something he was determined to withhold – political power. For although some businessmen were given administrative positions, including membership on the Council, they were carefully selected, had usually acquired land, and always remained in the minority. Above all, the governor would not summon an assembly. But that is not the only way in which Murray’s behaviour can be interpreted. Indeed, this essentially ethnic construction might be not only anachronistic but obscurantist. For, it is argued, the crucial distinction at the time was not between two races, but between two classes – “bourgeois” and “landed.” Furthermore, from a modern perspective, it was the former that represented progress: whereas the British government was intent on fitting Quebec into the old colonial system and Atlantic triangle, the merchants were attempting to create a commercial empire inland; and North America was to be developed not by concentrating on the seaboard regions but by opening up the west. No matter how “Ignorant, factious, Licentious” they might have seemed, the merchants should have been supported because they alone possessed the initiative, energy, and skill required for that enterprise. It is also argued that such support would not have been simply tantamount to siding with the British against the Canadians. Regardless of who they were and how effectively they managed, some Canadians did participate in business activities after the conquest. In fact, this event freed them from the mercantilist restrictions imposed by the French authorities; and not only was the British colonial system much more liberal, but the beginning of the industrial revolution and development of capitalism in England opened up limitless prospects. Integration into the British empire should have provided Canadian business interests with an unprecedented opportunity for both economic and social advancement. If only they too had been encouraged, or at least left unhampered, the disadvantages under which they laboured might have been reduced, and relations between Canada’s two founding peoples might have begun, and continued, on more harmonious lines. These consisted of two groups, who also crossed ethnic lines: the British governmental supporters and the Canadian seigneurs. The former, mostly military men but including a few merchants (such as Benjamin Price, who owned 20,000 acres), were supposed to shelter Quebec from that “turbulent, levelling spirit” which, according to Chief Justice William Smith after the American revolution, had caused the Thirteen Colonies to be “abandoned to democracy.” However, this “French party” came to uphold not only conciliar as opposed to representative government, but also those Canadian institutions, laws, and customs that seemed indispensable to the continuance of a hierarchical society. They accordingly found their natural allies not among members of their own race but in the other group that wished to “preserve” Quebec, the seigneurs [see Gaspard-Joseph Chaussegros de Léry; Charles-François Tarieu de La Naudière]. The incident that prompted Murray’s recall occurred on 6 Dec. 1764 in Montreal. Relations between the military and the merchants had always been rancorous in that town, where billeting was particularly troublesome and where Burton had his headquarters. On the night in question a party of men from the 28th Foot, bent on teaching the tradesmen a lesson, broke into the house of one of the principal offenders, Thomas Walker, thrashed him soundly, and cut off one of his ears. The ensuing wrangle over where and by whom a trial should be held enabled Murray’s critics to marshal their grievances, and this time their protest to the British government proved effective. In October 1765 Murray was told that he would have to account in London for both the disorders in Montreal and, in general, his administration of Quebec. 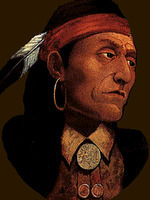 He was ordered home the following April and left Canada on 28 June 1766. Murray could now have returned to Quebec, where he had often spoken of settling permanently and had obtained extensive properties across the river from the town, as well as on lakes Champlain and Saint-Pierre. But although he retained the nominal governorship of the province till 12 April 1768, he never did get back. 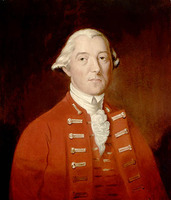 Various explanations have been suggested, including a reluctance to leave his wife, who was disinclined to accompany him overseas; pressure from his brother Lord Elibank, who looked to his support in the House of Commons, for which Murray considered standing; apprehension that friction would recur, especially since Carleton, who had been made lieutenant governor in September 1766, was opposed to some of Murray’s policies and several of his appointees; and a general feeling of disenchantment, possibly indicated by his reluctance to participate in the framing of the Quebec Act in 1773. Whatever the reasons, Murray resumed his military career soon after returning to England. Serving on the Irish staff in 1766 and subsequently as an inspecting general of the Southern District, in December 1767 he exchanged his colonelcy in the 60th Foot for that of the 13th, and in May 1772 was promoted lieutenant-general. Two years later he began his second colonial assignment, an eight-year stint in Minorca. Since the titular governor, General John Mostyn, was not resident, Murray, although designated as only the lieutenant governor, was effectively in charge from the start. 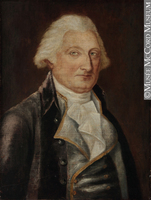 In April 1779 he was finally gazetted governor and was given a lieutenant governor of his own, Sir William Draper, the next month. Between August 1781 and February 1782, when Fort St Philip was besieged by a Franco-Spanish army, Murray relived his defence of Quebec. Resisting this time any impulse to launch his men, reduced by the end of the siege from 2,000 to 600 combatants, against a force of 16,000, he bore himself so gallantly-to the extent of spurning a bribe of £1,000,000 to surrender-as to earn the honorific title of “Old Minorca” before being obliged to capitulate. A court of inquiry was afterwards convened to look into various charges brought by Draper, whom Murray had dismissed for insubordination and who was now retaliating with accusations of misconduct ranging from embezzlement to cruelty. Murray was not only acquitted on all except two trifling charges but had the satisfaction of being complimented by both the court and the king on his “zeal, courage and firmness” in defending Fort St Philip. He thereupon retired to his Sussex estate where, becoming a full general in February 1783 and acquiring the honours of colonel of the 21st Foot and governor of Hull, he passed his remaining 12 years. 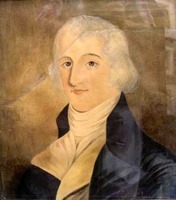 From a constitutional standpoint, Murray’s governorship is notable mainly because of the modifications he made in the anglicizing policy of 1763. His refusal to summon an assembly, and reliance on a council instead, provided Carleton with a precedent that was ratified in the Quebec Act of 1774. The form of administration established by this act in turn served as a prototype for the development of crown colony government, which became an alternative to representative government in the reorganization of the British empire after the American revolution. Murray’s incorporation of French principles and practices into the English legal system was another precedent on which Carleton could build, also received statutory recognition in 1774, and has persisted in Quebec to the present day. As illustrated by the retention of French laws and institutions in Santo Domingo and Martinique and of Romano-Dutch laws and institutions in British Guiana and Cape Colony, this “policy of continuation” became an alternative to the “policy of anglicization” in the second British empire. From an economic standpoint, Murray left his mark by restraining the mercantile interests. The restrictions he enforced in the western hinterland, the “clogs of commerce” with which he burdened merchants within the province, and, most important, his thwarting of their efforts to gain political power through the acquisition of an assembly, all helped to transform Quebec from a fur-trading region, which might have become the heart of an inland commercial empire, into an agricultural belt that was principally concerned with the exploitation of its own resources and oriented towards the Atlantic. Murray has therefore been held at least partly responsible for both the perpetuation of Quebec as a quasi-feudal enclave and the delay in its attaining a capitalist economy. Finally, from a social standpoint, Murray made his greatest impact through his efforts to counter the policy of anglicization. Whether or not the Canadians could have been thoroughly anglicized without a substantial British immigration, the possible effects of completely subordinating the Roman Catholic church, extensively promoting British settlement, establishing exclusively English laws and institutions, and firmly entrenching the British merchants as the dominant political force should not be discounted. In any event, Murray’s aversion to the bourgeoisie (British and Canadian alike), together with his partiality for their adversaries (the clergy, seigneurs, and French party), led him to champion the Canadian cause. And this is probably what lies behind much of the praise, and blame, that has been heaped upon him. During the years immediately following the conquest, a serious attempt might have been made to turn Quebec into an anglicized colony. Murray’s ultimate achievement, or failure, was that he helped to impede this movement. His apology was that he thereby helped to prevent the total subjugation of the Canadians. BL, Add. mss, 15491, ff.1–14; 21628, f.302; 21668, ff.l–57; 21686, ff.61, 81. PAC, MG 23, GII, 1. PRO, CO 42/1–7; 42/24–25. Scottish Record Office (Edinburgh), GD 32/24. Annual Register (London), 1759, 1760, 1763, 1782. Coll. of several commissions (Maseres). Correspondence of William Pitt (Kimball), IV. Docs. relating to Canadian currency during the French period (Shortt), II. Docs. relating to constitutional history, 1759–91 (Shortt and Doughty; 1918). William Draper, Observations on the Honourable Lieutenant-General Murray’s defence (London, 1783). John Entick, The general history of the late war: containing it’s rise, progress, and event, in Europe, Asia, Africa, and America . . . (4th ed., 5v., London, 1779). G. B., Hist. mss Commission, Fifth report (2v., London, 1876);The manuscripts of the Marquess Townshend (London, 1887), 315–16; PRO, CHOP, 1760–65; CHOP, 1766–69. 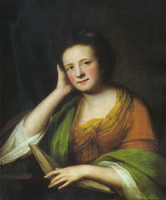 Gentleman’s Magazine, 1759–60, 1763–66. [James Johnstone], “The campaign of 1760 in Canada,” Literary and Hist. Soc. of Quebec, Hist. Docs., 2nd ser. (1868). Knox, Hist. journal (Doughty), II. Maseres, Maseres letters (Wallace). PAC Report, 1918. [Horace Walpole], The letters of Horace Walpole, fourth Earl of Orford . . . , ed. [Helen] and Paget Toynbee (16v. and 3v. supp., Oxford, Eng., 1903–25), IV, 396. [John Wilkes], The correspondence of the late John Wilkes with his friends, printed from the original manuscripts, in which are introduced memoirs of his life, ed. John Almon (5v., London, 1805). Lloyd’s Evening Post and British Chronicle (London), 7 Nov., 24–26 Dec. 1766, 2–5 Jan. 1767. Quebec Gazette, 1764–68. DNB. 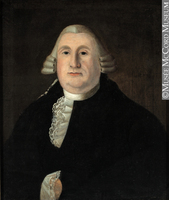 G. L. Beer, British colonial policy, 1754–1765 (New York, 1922). Brunet, Les Canadiens après la Conquête. Burt, Old prov. of Que. D. [G.] Creighton, The empire of the St Lawrence (Toronto, 1956). A. [G.] Doughty and G. W. Parmelee, The siege of Quebec and the battle of the Plains of Abraham (6v., Quebec, 1901), II, 8, 219, 222, 227, 266; III, 81, 161; IV, 288; V, 44–45; VI, 50–52, 141. Frégault, La guerre de la Conquête. R. H. Mahon, Life of General the Hon. 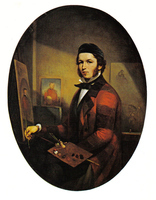 James Murray, a builder of Canada . . . (London, 1921). A. C. Murray, The five sons of “Bare Betty” (London, 1936). Neatby, Quebec. Ouellet, Hist. économique. M. Trudel, L’Église canadienne. M. G. Reid, “The Quebec fur-traders and western policy, 1763–1774,” CHR, VI (1925), 15–32. S. M. Scott, “Civil and military authority in Canada, 1764–1766,” CHR, IX (1928), 117. Marcel Trudel, “La servitude de l’Église catholique du Canada français sous le Régime anglais,” CHA Report, 1963,42–64. G. P. Browne, “MURRAY, JAMES,” in Dictionary of Canadian Biography, vol. 4, University of Toronto/Université Laval, 2003–, accessed April 24, 2019, http://www.biographi.ca/en/bio/murray_james_4E.html.